Fall classes have arrived! 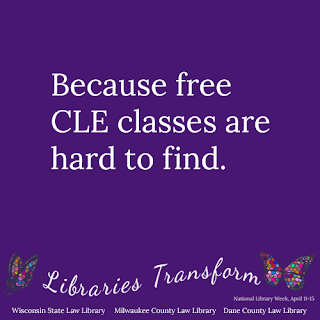 Sign up for free CLE classes through the library. Classes are offered in Madison and Milwaukee over the lunch hour. Thursday, September 8, Noon - 1 p.m.
Tuesday, September 20, Noon - 1 p.m. Learn how to best utilize Westlaw in this course by Discovering the power behind WestSearch plain language searching; Utilizing "Find a case by party name" feature; Learning about result list sorting and advanced filtering techniques, such as "search within results"; Exploring headnotes and other editorial enhancements, such as notes of decisions and statutes index; Covering advanced options for filtering Citing References; Learning about content category pages in the "Browse" menu. Thursday, October 6, Noon - 1 p.m.
Save time and money by searching in the right place first. This class will survey search techniques and results for free websites (like Google) and specialty sites (like Westlaw and HeinOnline). Learn search shortcuts for your favorite websites and understand the kind of information you can get from each source. Advanced Legal Research with Westlaw, Noon - 1 p.m.
Legal Ethics & Professional Responsibility Research with Westlaw, 1 p.m. - 2 p.m.
Tuesday, October 18, Noon - 1 p.m. The objective of this course is to update and refresh Westlaw users on Westlaw, and show new tools, features, and content available. The new tools and content enhancements will also assist attorneys in providing more cost effective researching to their clients. Wednesday, November 2, Noon - 1 p.m. Learn how to access Wisconsin Appellate Briefs on WSCCA and the UW Law Library's website. 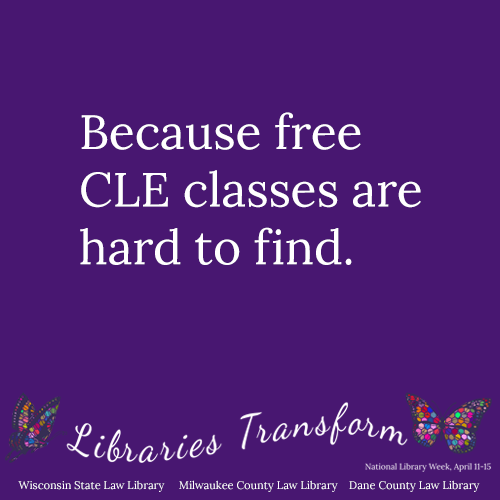 This class is an introduction to searching for Wisconsin Appellate Briefs available for free on the Internet. Wednesday, November 10, Noon - 1 p.m.